On fours and fabulous….pet lifestyle the woofilicious way! 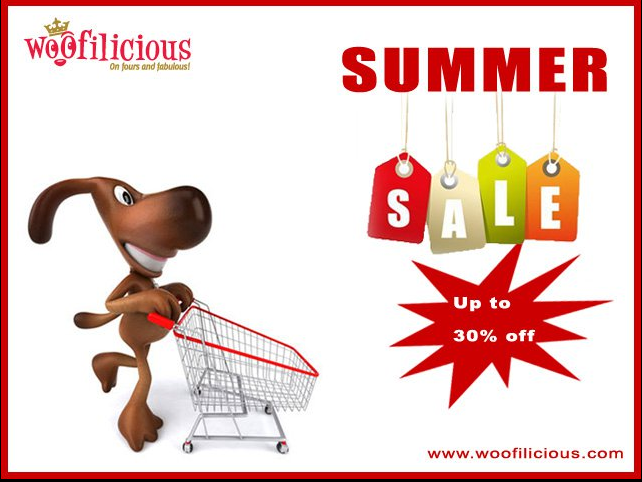 SUMMER SALE: Its time to grab your fav doggy stuff at great discounts! All brands on sale……UPTO 30% OFF!! Super cool dog accessories in a red hot sale!! Log on to http://www.woofilicious.com NOW!! Buy products from your favorite brands at great prices! !